When buying a home with a mortgage loan, both you and your lender own parts of the home. The part of the home that you own is represented by the equity which builds up each time you make a payment. 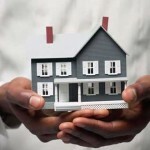 Having equity in your home allows you to take out a house equity loan by using the equity as collateral. Home equity loans can be used for a variety of things, from financing a home improvement project to paying for college tuition. Home equity loans come in two categories. The home equity loan (HEL), which allows you to borrow the money as a lump sum, and the home equity line of credit (HELOC), which allows you to use the borrowed money the same way you would use a credit card, meaning you only take out money when you need it. What is a Home Equity Loan (HEL)? A home equity loan allows you to take out usually up to 80 percent of the equity in your home as a lump sum, which can be used to make repairs or improvements to your home, or pay large bills such as medical or college bills. The home equity loan is a secured loan for an amount which is predetermined. Home equity loans are considered second mortgages and are very similar to conventional loans. They feature a fixed interest rate and the borrower starts repaying the loan immediately after receiving the money. This type of home equity loan is very advantageous because the monthly payment stays the same until the loan is repaid. Interest rates on home equity loans are higher than the ones on conventional mortgage loans, but usually lower than the ones on other types of loans. The interest rates are also higher than the initial rate on a home equity line of credit, but it remains the same, while the one on a HELOC can increase. The interest on a home equity loan is usually tax-deductible, but there are exceptions. You should always have that confirmed by a tax consultant before taking out a home equity loan. Other types of loans may be more accessible and cheaper if you are unable to deduct the interest rate on a home equity loan. A home equity line of credit gives you the opportunity of having a credit up to a predetermined amount. This type of loan is much like a credit card, where the lender puts a limit on potential spending. Unlike a credit card, the home equity line of credit is a secured debt, where the borrower’s home is used as collateral. The home equity line of credit offers more advantageous interest rates than credit cards, but borrowers risk losing their homes if they stop making payments. On a home equity line of credit the borrower doesn’t owe any money and interest until he or she actually spends money. This makes them ideal for homeowners who plan on making home improvements or repairs several months down the line. The interest rate on a home equity line of credit fluctuates, making them somewhat risky for those who don’t plan for an interest rate increase. The interest rate on this type of home equity loan is also tax-deductible, making it even more advantageous than opening a new credit card account. You can use both types of home equity loans to finance several things: a home improvement, repairs, finance your children’s college education, or even take an expensive trip. Another great use for these types of loans is consolidating debt. Because they have tax-deductible interest and interest rates lower than other forms of borrowing, you can use them to get rid of other debt with a higher interest and cost. Most of the time, though, people use home equity loans and home equity lines of credit for home improvements. Improving your home not only makes it more comfortable, but it also increases its value. Home equity loans are generally used if you need the whole amount at once, for example for buying a new roof, while home equity lines of credit are better if you have ongoing expenses. Also, because a home equity loan has a fixed interest rate, it gives you more peace of mind, since you know how much you will be paying each month. Home equity lines of credit have an initial fixed rate period, but the interest rate can fluctuate significantly afterwards. Both home equity loans and home equity lines of credit are very helpful for homeowners who wish to tap into their home equity to get some cash, instead of having to open a new credit card account or take out more expensive loans. The two types of loans differ in several aspects, but you must remember that they both require you to use your home as collateral, so knowing how they work, what the differences between them are, and what other options you have is very important.